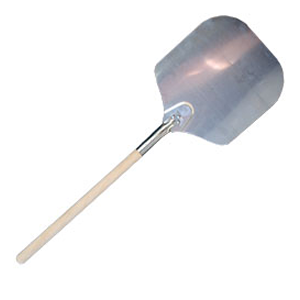 This tool is great for removing pizzas from the oven. We recommend this item to anyone purchasing our Toscano wood fired oven, as the cooking chamber is much deeper than our other ovens. Aluminum blade peels are made from the material of choice. Easy to clean and long-lasting, metal blades are super-thin, making them easy to slip under a pie whether it’s on a wood fired oven hearth or on the grill. The only downside? Raw dough has a tendency to stick to it more than to a wooden peel.